Mrs. Brady 84 passed away Tuesday April 9, 2019 at K & K Assisted Living following a lingering illness. She was born in Bay City on May 29, 1934 to the late James & Clara (Girard) Shorkey. She married Joseph Brady on January 29, 1955 in Bay City, he preceded her in death on November 6, 2005. 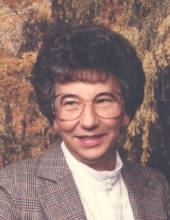 Dorothy was a member of Hope Lutheran Church, worked for several years at the Estey Market and a Lady of the Moose, Estey Lodge. Her family will cherish the memory of her as a devoted wife mother and especially a grandmother. Surviving her are her sons Joseph J. & Suzie Brady, Michael S. & Chris Brady and Patrick H. & Ailene Brady; grandsons Matt & Kelly, Jeff & Ashley, Travis & Erica, Shawn & Melissa, Garret and Hayden; 11 great grandchildren. She was preceded in death a brother James Shorkey. Funeral services will be Thursday, April 11 at 11 am from the Hope Lutheran Church with Pastor Reed Schroer presiding with burial in Billings Township Cemetery, Albright Shores. Family will be present at the Lee-Ramsay Funeral Home-PINCONNING CHAPEL on Wednesday from 3 to 8 pm. On Thursday Mrs. Brady will lie in state at the church from 9 am until time of services. Those considering an expression of sympathy are asked to consider Hope Lutheran Church or MidMichigan Hospice. The family would like to extend a heartfelt thank you to K & K Assisted Living and Corie from MidMichigan Hospice for the care given to their mom. To send flowers or a remembrance gift to the family of Dorothy May Brady, please visit our Tribute Store. "Email Address" would like to share the life celebration of Dorothy May Brady. Click on the "link" to go to share a favorite memory or leave a condolence message for the family.